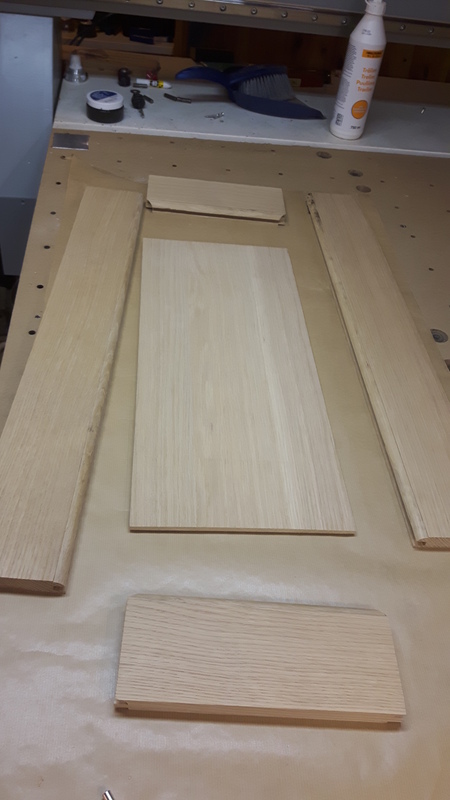 I was asked by a client if I could try replicating a kitchen cabinet door for her new kitchen. Actually it was a used kitchen that was going to be installed, and she wanted to install an extra cabinet, and needed a door. 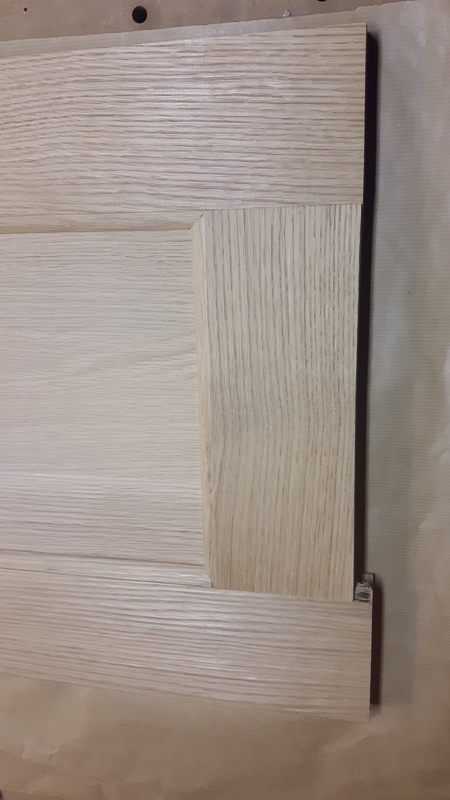 The door was made from oak, and had a profile on the stiles and rails that was a little different than my door set cutters, but she was happy with almost similar. 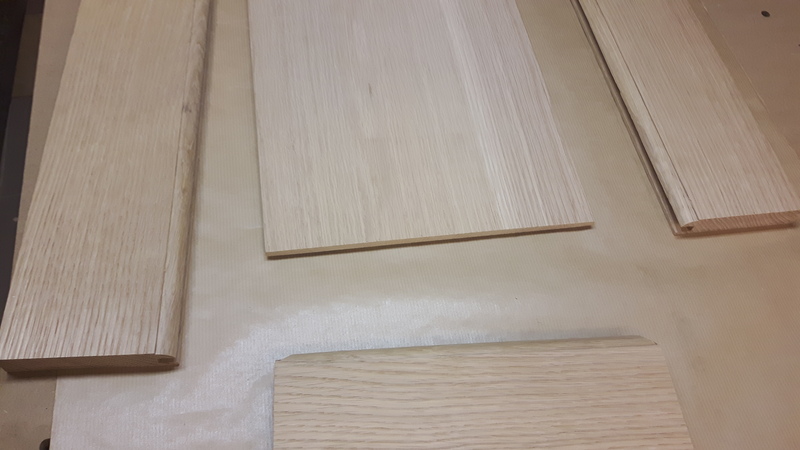 Unfortunately hardwood is extremely expensive here in Norway, so the wood for this project was over 100 usd!!! 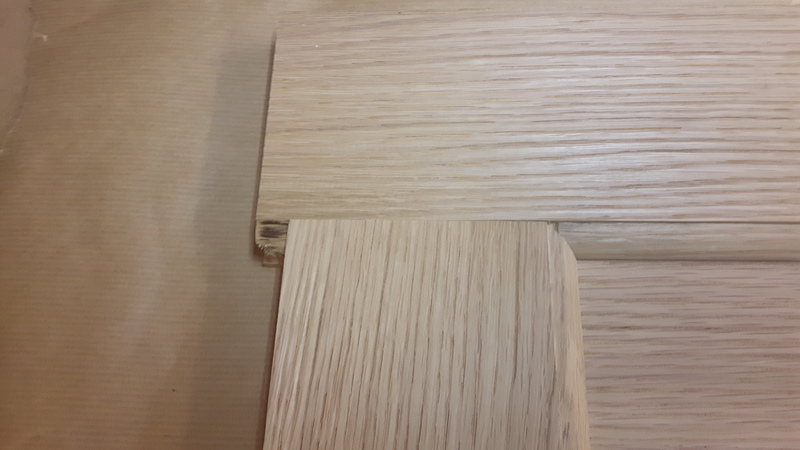 As they where already jointed and planed on all 4 sides, it was just a matter of running them through the planer. Unfortunately I did not take any photos of it. 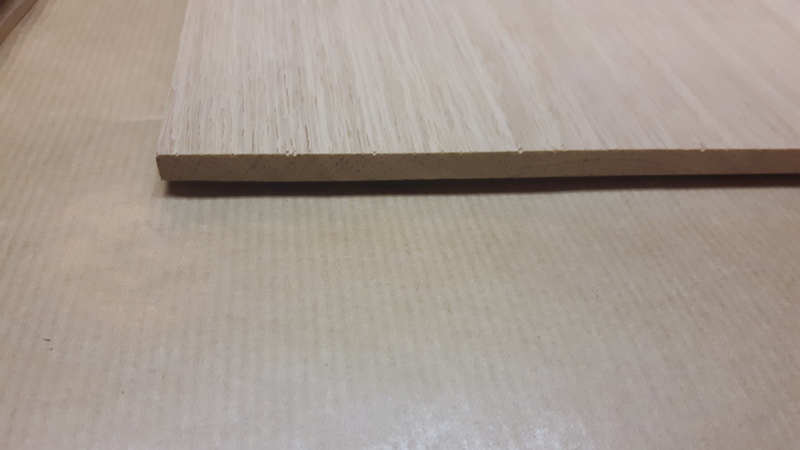 As the access to hardwood plywood is very limited here, I had to make the panel from thing oak stock, meant for transitions between rooms in a hardwood floor installation. very much like a very thin door sill. Jointed the edges, since they had a round over, and glued up the panel. As the panel was a little thicker than the slot in the stiles and the rails, I had to cut a rabbet on all 4 sides (not done in the image below). Here you can see the rabbet on the inside of the door during dryfit, with some clearance for expansion and contraction of the panel. Closeup of dry fit rail and stile. 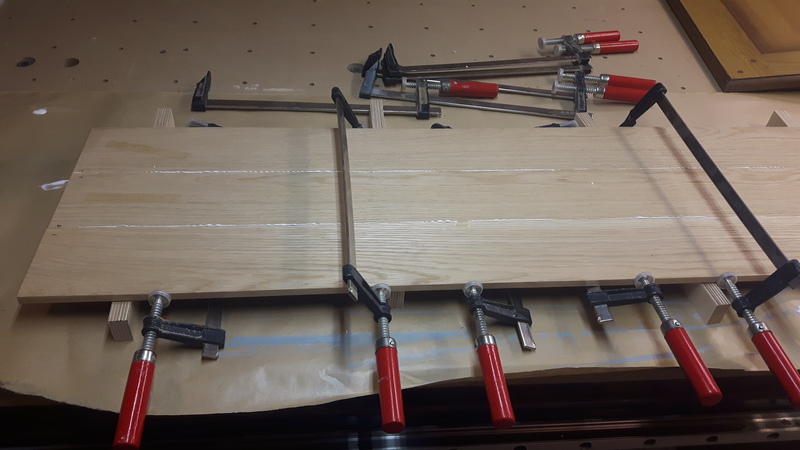 Ready for glue up. The centerpanel are only glued with a dab of glue in the cente on top and bottom to allow for seassonal changes. All sanded and ready for finish. I used 4 coats of tung oil with a light sanding in between coat 1 and 2. The finished product. 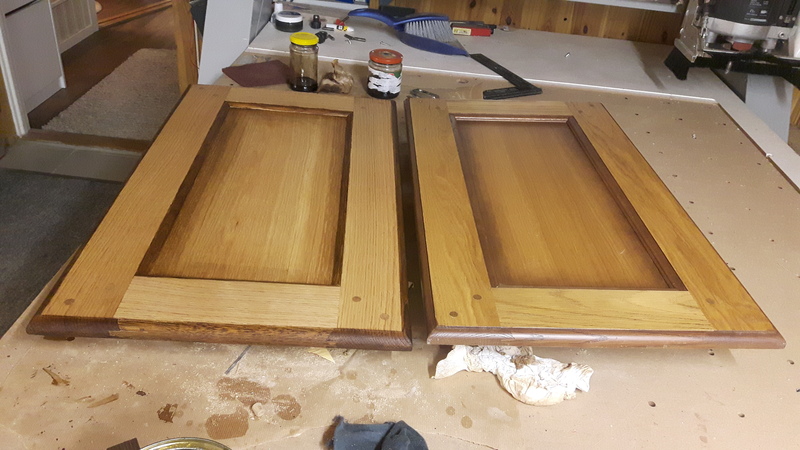 The profiles are stained with some brown stain before the tungoil finish. I think it came pretty close to the original. The original one had some of the stain on the inside profile “blead” a litte out on the center panel, so I had to experiment to get the “smearing” right. 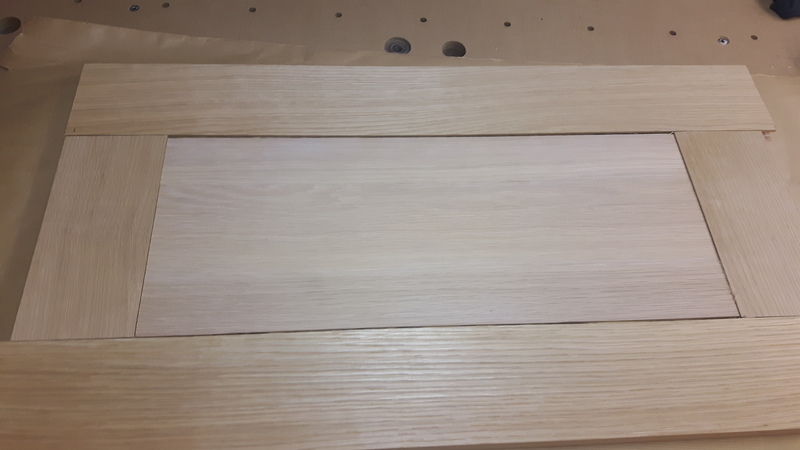 The oak will probably get more yellowish over the years, and blend even more in. 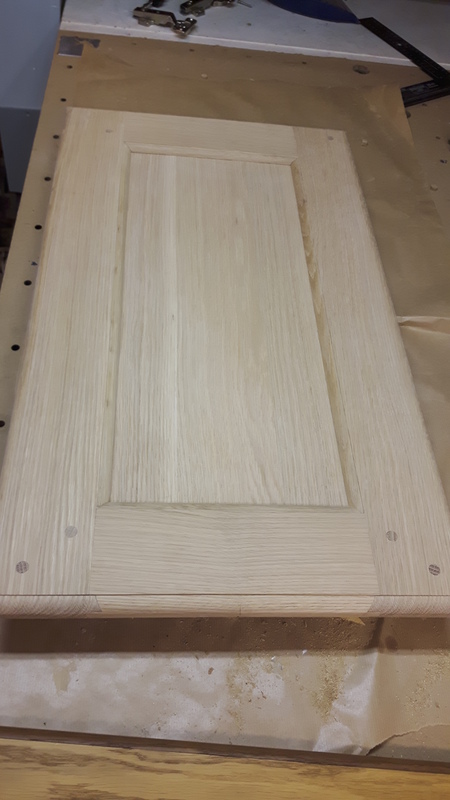 Overall an interesting project, but being my first solid wood door, I most likely put a little above average amount of hours into it. But the client was more than happy with the result.